Today, I’m going to show you the best way to eat strawberries – it’s our friends Jeannine and Pierre who showed us, and my parents loved it! They thought you’d like it as well. 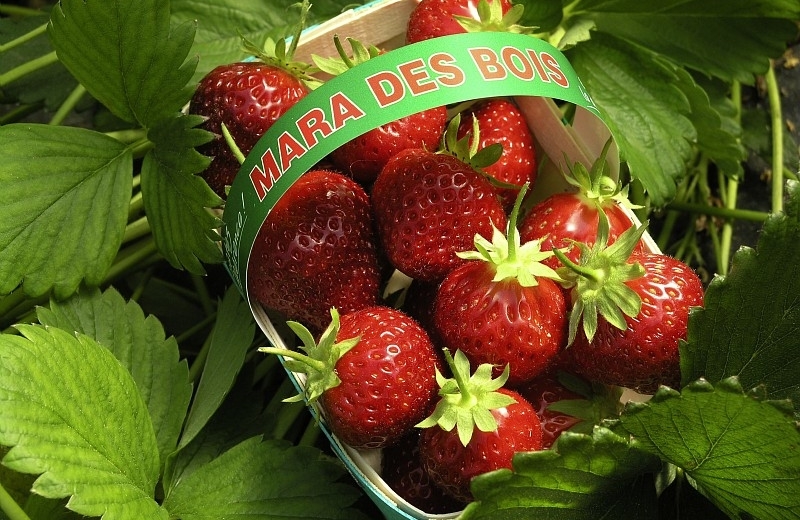 It’s even better if you can get the best of the best “la mara des bois” ou “la gariguette”!!! You need “un grand bol transparent”, it doesn’t really need to be transparent but it’s much prettier that way. And of course, “une ou deux bouteilles de champagne” !!! I eat mostly the strawberries, but my Mom prefers the juice, I wonder why…. My Mom posts new articles every week, so make sure you subscribe to the French Today newsletter – or follow her on Facebook, Twitter and Pinterest. If you enjoy learning French in context, check out my Mom’s downloadable French audiobooks: her bilingual novels are recorded at different speeds and enunciation, and focus on today’s modern glided pronunciation. Her French audiobooks are exclusively available on French Today.